They asked us nicely. They tried to make us see sense. And finally, they told us not to do it. But as always, some of us chose to ignore it and act smart. I’m of course talking about one of the 21st century’s biggest epidemics, the #KikiChallenge. Police departments across the country put out warnings, asking us not to attempt the ridiculously stupid and dangerous stunt. But, do we listen? Well, they are done asking nicely. 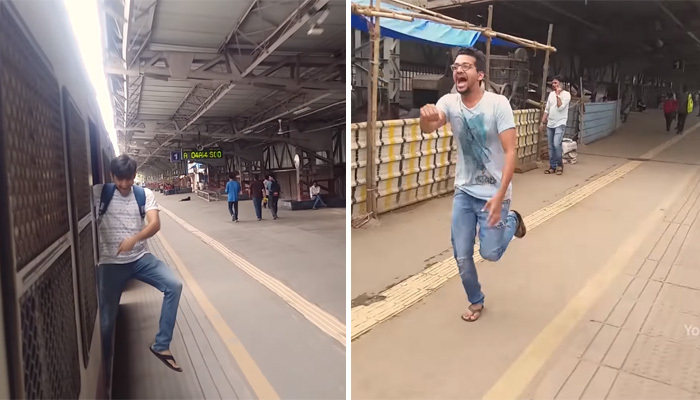 3 men from Virar are being taught a lesson they will never forget, in spreading awareness. The people behind the YouTube channel Funcho Entertainment are in trouble with the RPF after they posted a Kiki Challenge compilation video to their page last week. 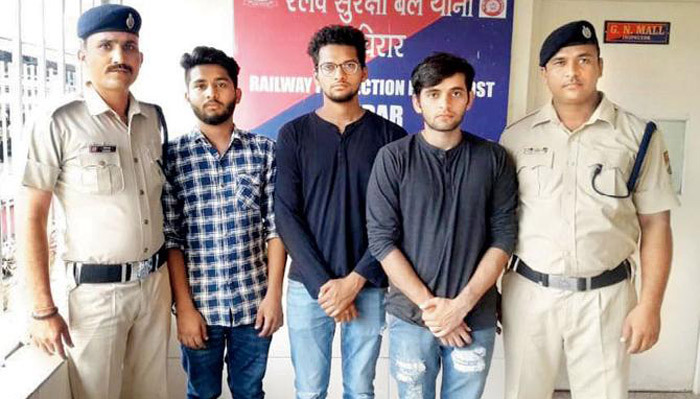 The Railway Protection Force (RPF) at Virar caught up to Nishant Rajendra Shah (20), Dhruv Anil Shah (23), and Shyam Rajkumar Sharma (24) for their video which shows them performing many versions of the viral challenge, one of which happens to be on board a moving train. In the video, one of the YouTube trio is seen dancing and running along a moving train, while the other two hung out the door to film him. According to Mid-Day, Nishant, who is the founder of the channel, came under the RPF scanner after the video in question caught their eye. The video which has gained over 1.9 million views on YouTube, features an ambulance in one of the scenes. As per a report by Times Of India, it is this ambulance that finally led the RPF to Nishant and team. The investigating team tracked down the owner of the ambulance and subsequently arrested the 3 men yesterday. Another official added that the 3 were in tears when the RPF caught up with them. At the Vasai railway court, the 3 were handed their penalty for breaking the law and it’s quite an ingenious one at that. The Kiki Challengers have been ordered to clean up the Vasai railway station three times this week. And in addition, they are to visit the stations from 11 am to 2 pm and 3 pm to 5 pm and appeal to commuters to refrain from such stunts. They are also required to shoot footage of themselves during their awareness spreading work, to submit as proof to the court. Well, that shouldn’t be an issue for them. They are YouTubers, after all. Meanwhile, the Central Railway is still on the lookout for the other genius who pulled a similar stunt on a Mumbai local.